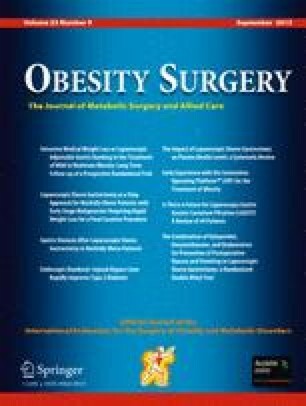 Background: While implantable gastric stimulation (IGS) on the lesser curvature has been reported to induce weight loss in obese patients, its mechanisms involving gastric mechanical activity remain largely unknown. The aim of this study was to investigate the effect and mechanism of IGS on gastric tone in canines. Methods: 8 healthy dogs were implanted with a gastric cannula on anterior stomach and a pair of electrodes at lesser curvature. Gastric tone was assessed with an electronic barostat in 2 randomized sessions, a control and a session with L-NNA (nitric oxide synthase inhibitor). The control session included 30 min baseline, followed by 30 min with IGS; the L-NNA session included 30 min baseline, 30 min immediately after a bolus of L-NNA, and 30 min with IGS. Results: 1) In the control session, IGS significantly increased the proximal gastric volume from baseline 91.3±7.1 ml to 186.3±27.1 ml (P<0.05); 2) L-NNA markedly reduced the proximal gastric volume from 110.3±11.9 ml to 56.9±10.8 ml (P<0.01); and subsequent IGS did not significantly increase the proximal gastric volume (P>0.05). Conclusion: IGS significantly inhibits proximal gastric tone or induces gastric distention, and this inhibitory effect is mediated via the nitrergic pathway.